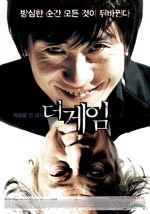 A struggling artist Hee-do is offered a million dollar to bet his life if he loses a game against a rich old man named No-shik who is dying from a terminal disease. The game is to dial any random number and tell whether it would be male or female who takes the call before the phone gets answered. Hee-do calls �Female� and No-shik �Male.� It turns out the call-answerer is a drag queen and Hee-do loses. After a month of a brain operation, No-shik wakes up in Hee-do�s body and Hee-do does in No-shik�s. With Hee-do�s young healthy body, No-shik is now the man of health and wealth, let alone romance with the clueless Hee-do�s fiancé. Meanwhile, No-shik�s ex-wife convinces the frustrated Hee-do to help her lay out a scheme to revenge upon No-shik by revealing the truth. However, the woman is found dead not long after in No-shik�s office building. Hee-do comes to another showdown with No-shik and makes the second bet that could return his lost body if he wins and could lose his memories about his fiancé to No-shik if he fails. Each calls out random numbers and waits for the voice to be heard.